The National Council for Science & Technology Communication (NCSTC) on Wednesday presented awards to science communicators for their efforts to popularize science among people. The national awards were instituted in 1987 to stimulate, encourage and recognize outstanding efforts in the area of science popularization and communication and in promoting scientific temper. The awards are given every year on the National Science Day, February 28. For 2017, Dr. Raghbir Singh Khandpur from Punjab has been awarded for National Award for Outstanding Efforts in S&T Communication. The award consists of Rupees two lakh, a memento and a citation. All the other national awards consist of Rupees one lakh, a memento and a citation each. Tarun Kumar Jain, Jaipur, Dr. B.Sasikumar, Kozhikode and Dilip Kumar Sarma, Guwahati, have won National Award for Outstanding Efforts in S&T Communication through Print Media including books and magazines. Dr. Jyotirmayee Mohanty, Jagatsinghpur, Odisha, and Ms. Sarika Gharu, Hosangabad, Madhya Pradesh, are the National Awardees for Outstanding Efforts in S&T Popularization among Children. Socio Cultural Development Centre, Jagatsinghpur, Odisha, has won National Award for Outstanding Efforts in S&T through Innovative and Traditional methods. 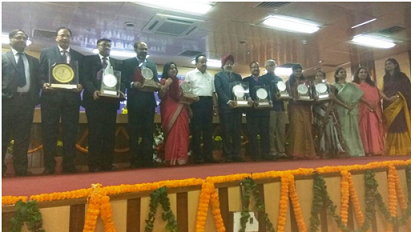 Indian Society of Remote Sensing, Dehradun, has been given the National Award for Outstanding Efforts in S&T Communication in the Electronic Medium. Another prestigious Award, the National Award for Women Development through Application of Science and Technology for 2017 was conferred on Socio Cultural Development Centre, Jagatsinghpur, Odisha. This consists of Rs.15 lakh, a memento and a citation. Speaking on the occasion, Dr. Harsh Vardhan, Minister of Science & Technology (S&T), Earth Sciences and Environment, said “scientific social responsibility should be reoriented and dynamic approach should be adopted to make science reach among masses.” He said the country had made remarkable progress in the field of science and technology but we need more scientists like Sir CV Raman. 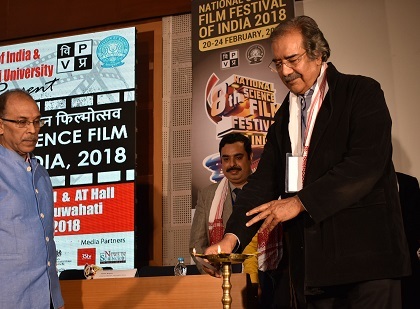 Prof Ashutosh Sharma, Secretary, Department of Science and Technology said science communication was critical for inculcating scientific temper among people. Science and technology could contribute to achiev in the goal of sustainability. The theme of the National Science Day this year is “Science and Technology for a Sustainable Future”, which has been chosen for the purpose of raising public appreciation of the scientific issues involved.